Yokohama has one of Japan's most diverse culinary traditions. From Chinatown to Noge's tiny eateries, there is something for everyone. Visit one of the world's largest Chinatowns or izakaya pubs in Noge where you can enjoy yakitori and Japanese sake. You can also choose from Michelin-rated high end Japanese or Western restaurants, trendy cafes, or value restaurants like ramen or okonomiyaki. Yokohama is a treasure trove of firsts in Japan in terms of foods because it was among the first cities in the country to open its doors and accept Western culture. In addition to Western imports like ice cream and beer, Yokohama also has a number of Yokohama things that were actually invented right here. Ohtanawanoren, a restaurant in the city, continues to serve gyu-nabe, a hot pot, and Japanese take on beef stew, made with beef cubed like dice, miso and green onions all stewed over an earthen charcoal brazier in a specially made shallow pot. Other long-storied restaurants famous for their gyu-nabe include Janomeya and Arai-ya, first established in the late 1800s. Napolitan is a popular pasta dish created in Yokohama. The dish is said to have been first invented by the Shigetada Irie, Head Chef of Hotel New Grand, a classic hotel and symbol of the city. After the end of World War II, the chef saw Occupation Forces pour ketchup over boiled pasta, so he came up with an idea to make the dish more appetizing by adding garlic and onions that go perfectively with tomato sauce. The chef named this dish Spaghetti Napolitan. As with Napolitan, Seafood Doria was also a dish invented at Hotel New Grand by the hotel's first Head Chef, Saly Weil. The dish features butter seasoned rice topped with a hearty helping of shrimp cream stew. Over the years Seafood Doria has earned countless fans across Japan for its thick and rich seafood flavors. You can try both Napolitan and Seafood Doria for yourself at Coffee House The Cafe. Ice cream in Japan is said to have started as "Aisukurin" made by Fusazo Machida at Bashamichi in Yokohama back in 1869. Today's recipe for Bashamichi Ice, which is adjusted a bit for modern pallets, features a simple taste that is somehow nostalgic at the same time. You can taste it for yourself at a shop located in the Yokohama Red Brick Warehouse. 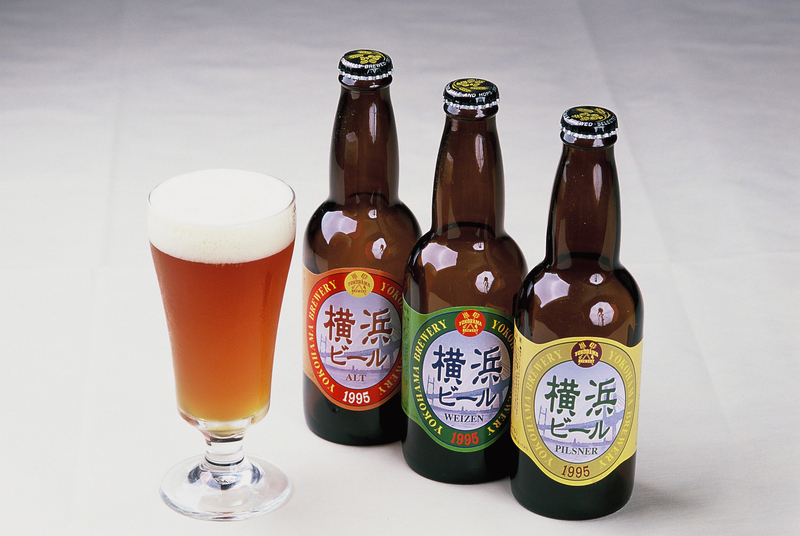 Yokohama is where beer was first introduced to Japan and in 1995 a local microbrew appeared on scene in the city. This beer is made with four types of yeast and offers a rich aroma like the beers of Germany or the Czech Republic as well as a full body rich and bitter taste. Today various types of beers are made in the city including pilsner, weissbier, and alt. See Bars and Nightlife for list of bars. Louis Eppinger, Manager of the Grand Hotel, invented Japan's first original cocktail called the Bamboo in 1889. 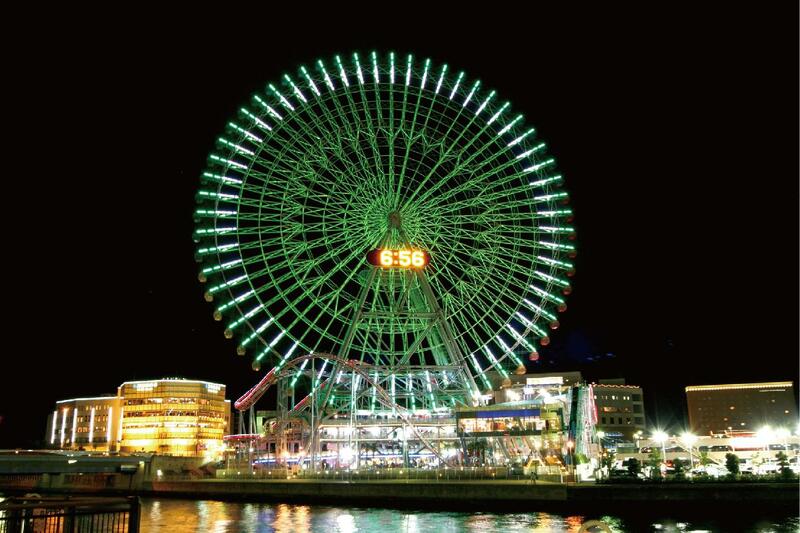 Experience the world's first food amusement park. Inside you can try ramen from across Japan in a retro townscape circa 1958, when instant ramen was first released in Japan. This ramen, born in Yokohama, features thick and straight noodles served in a tonkotsu (pork bone) and soy sauce soup. Toppings include spinach, cha-shu pork, and seaweed. Yoshimura-ya, a ramen shop near Yokohama Station, is considered the birthplace of Iekei Ramen, and today it is served at a large number of ramen shops that dot the city with the suffix "ya" attached to the end of their restaurant name. Tatsuo Ida, the second generation owner of Gyokusentei, a three generation Chinese restaurant in Naka Ward, is believed to have come up with the Sanma-men. The name of this ramen means raw vegetables in Chinese. Sanma-men features "ankake" stir fried vegetables like bean sprouts and cabbage placed on the ramen as a topping in a perfect blend of Japanese and Western cuisine. On hot days locals line up to get a bowl of Sanma-men. In addition to well-known Gyokusentei, located in Isezakicho, you can also try Sanma-men at well-established Chinese restaurants and local ramen shops as well. Japanese cuisine, or washoku, recently was added to UNESCO's Intangible Cultural Heritage List. This traditional cuisine has developed thanks in part to Japan's distinct four seasons and its extended north to south geographic shape. 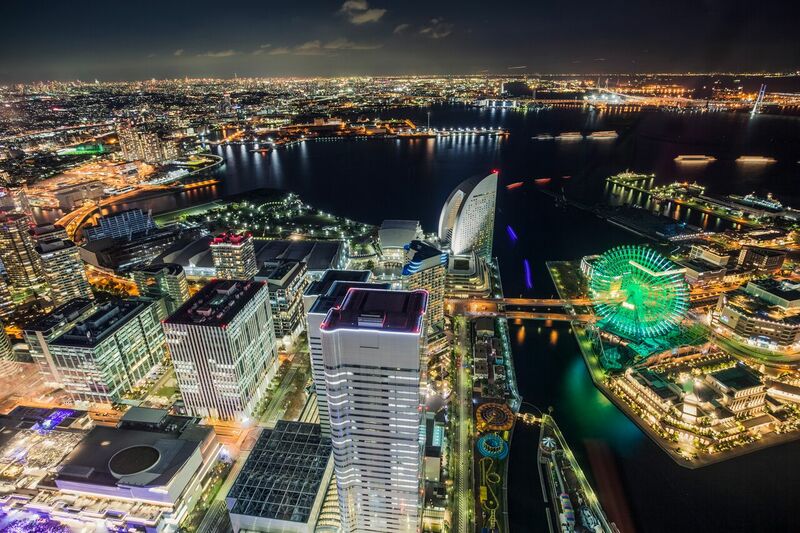 In Yokohama, you can enjoy world famous and ever popular tempura, sushi and teppanyaki at a variety of restaurants, from Michelin rated establishments to traditional Japanese restaurants and casual restaurants with reasonably priced menu items. An izakaya is a pub-like drinking establishment and eatery where Japanese people love to kick back and unwind. The tapas menu includes simple dishes like edamame and yakitori that pair perfectly with alcoholic beverages. Many izakaya offer a unique dining experience, with some specializing in fresh fish dishes served straight from their fish tanks and others prepare foods in front of your eyes at a counter. 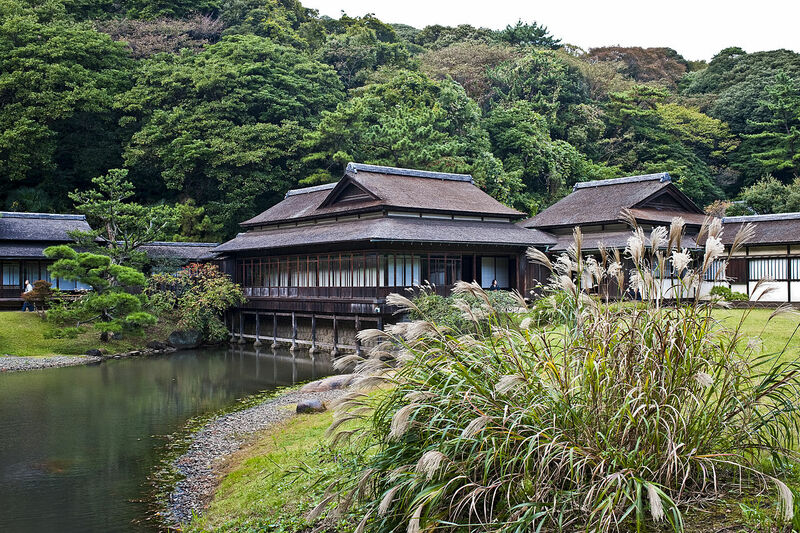 Many have a Japanese exterior decorated with red lanterns or a sign curtain hung at the entrance. 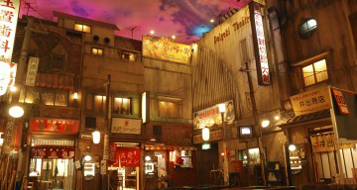 Izakaya are an oasis for businessmen and are a must try for anyone visiting Japan. 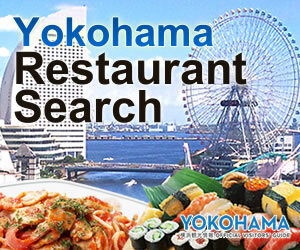 In Yokohama, there are around 500 eateries that dot the Noge area near Sakuragicho Station. Yokohama Chinatown is known as the one of the world's best spots for Chinese food. With more than 600 shops in only a 2500 square meter area, there are plenty of restaurants to choose from. Workers from restaurants and food stalls, cute and colorful sundries shops, and more call out in loud voices to entice passersby. The buildings and signs glitter and dazzle in brilliant colors and you soon realize Chinatown is a completely different world! As one of the first cities in Japan to welcome cultures from around the world, Yokohama offers a number of ethnic food restaurants representing every corner of the globe. With the growing number of international students in the city, there are more and more Halal stores and restaurants with Muslim-friendly items on the menu. See Muslim tourist information for list of restaurants.